With his impassioned call in 1974 for Christians to serve the world's "unreached peoples" by looking beyond national borders, Ralph Winter revolutionized what remains (even today) the true lifeblood of Evangelicals  missionary work overseas. Even at 80, Winter generates new strategies from his California-based Frontier Mission Fellowship. Trained as a civil engineer, linguist, cultural anthropologist and Presbyterian minister, he describes himself as a "Christian social engineer." 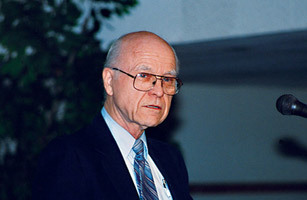 Working through the William Carey International University and the U.S. Center for World Mission, which he founded, he is producing a new generation of Christian message carriers, some native, ready to venture out to places with such ready-to-be-ministered flocks as Muslim converts to Christianity and African Christians with heretical beliefs. Says Winter: "It's this movement, not the formal Christian church, that's growing. That's our frontier." Next Does Bush Owe the Religious Right?